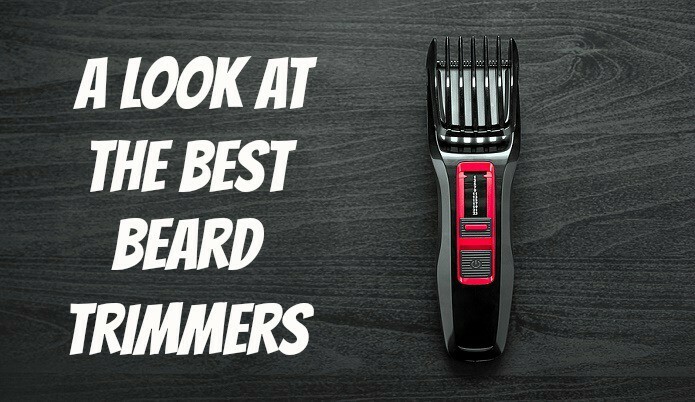 In this article I’ll be reviewing the best professional beard trimmers for men under $100 dollars that are not only rechargeable but cordless as well. Before we dive into the meat of the article, I wanted to make sure those who are working on keeping their beards looking nice and neat that there are more available tools than just a trimmer. By that I mean make sure you have your beard oils and other essential beard grooming products on hand as well. The Panasonic ER-GB80-S was one of those trimmers that sounded too good to be true.I got to the point where I was searching for something to complain about but kept coming up short. 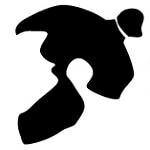 I’ll start with most exciting option, the easy to clean design. The ability to simply just put it under running water in the sink to be able to clean it had me downright ecstatic. The cutting of the blades is smooth and quick. No hair pulling, it just glides right through. The vast amount of settings allows you to keep the trimmer no matter what length of facial hair you’re going for. 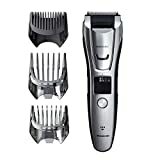 Overall this trimmer is nothing but pure quality, from the moment you pick it up you can tell that Panasonic put a lot of pride into their product. The Philips Norelco Beard Trimmer 7200 is one of my overall favorites for many reasons. First off it has a large variety of length from stubble to lengthy beard grooming settings. The vacuum system comes in real big handy for those whose wives/girlfriends complain a lot for whenever they leave any hair in the sink. The reliability of this trimmer is amazing, I know I’ve had it for at least 4 years and it’s still going strong. If the price is not an issue for you then I would grab this one up. 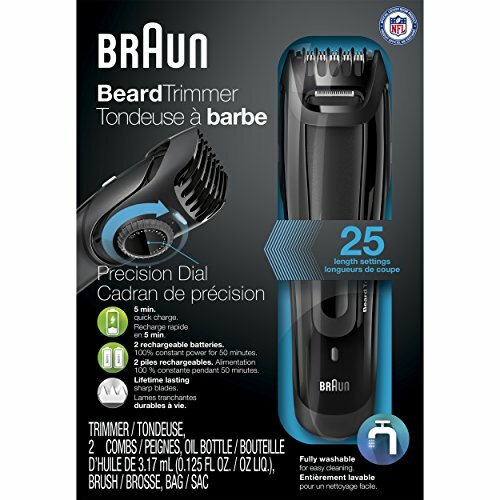 The Braun BT5070 is a very high quality beard trimmer that charges very fast and has lengthy running time ability, (50 minutes when fully charged). The 23 length settings (1–10 mm) & (10–20 mm) gives you plenty of length choices to choose from for your beard. It has a similar easy run under water clean design like the Panasonic ER-GB80-S. The one thing that makes this trimmer standout is the adjuster setting. I really like the turn dial setting it has for choosing the lengths. The blades are very sharp for smooth cutting & I’ve noticed zero dulling over the course of using it. For those who are working with a smaller budget don’t be down because there are still some solid choices without breaking the bank. Even though I highly suggest going for a premium beard trimmer like the ones I mentioned above because if you take care of them they can last you for 5+ years easily. 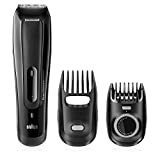 The Philips Norelco 3100 is a very solid beard grooming tool and comes with some great bells and whistles that you wouldn’t expect to see in a low priced unit. 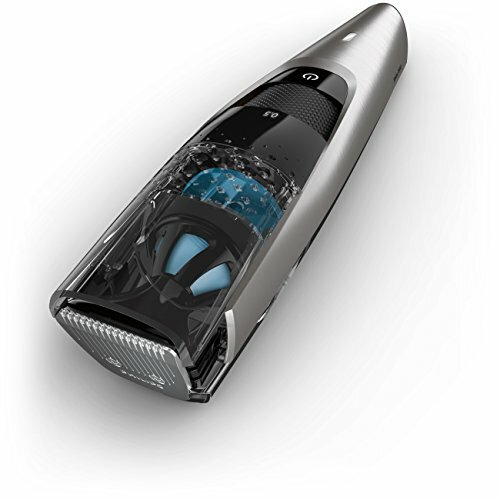 The easy cleaning option is of course a major thumbs up and it comes with almost as many length settings as the premium trimmers. The overall trimming is very easy and smooth so I have zero complaints there. This is my top pick for the budgeted option because of the reliability and overall quality build of the trimmer. 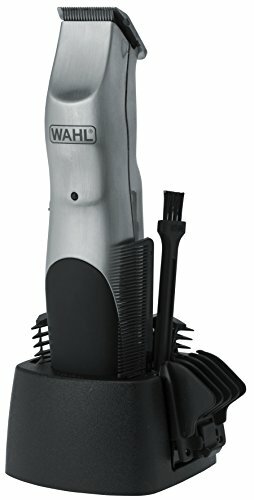 The Wahl beard trimmer is nothing fancy, just by looking at it you can tell it’s a very simple setup. However simple doesn’t mean bad. This is great for those who don’t like have to mess with settings or try to figure out what button does what. A simple have your guard clip on and go to trimming your beard. 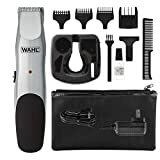 For a simple yet reliable trimmer this is a very good choice. Finding a beard trimmer to work the best for you can be tricky. Having all of the gadgets and top of the line stuff may not work for some people who want a more simplistic trimmer. This is why its very hard to gauge grooming tools because its very much on a per person basis. However for the sake of this article I feel very confident if you pick any of the trimmers mentioned on here that you will be happy with your purchase.